I’m having trouble editing the pantry ones. When I replace the words with ones I need the two fields overlap and cuts off the tops of the words. Any suggestions? I had no trouble with the spice labels. Love love love these. 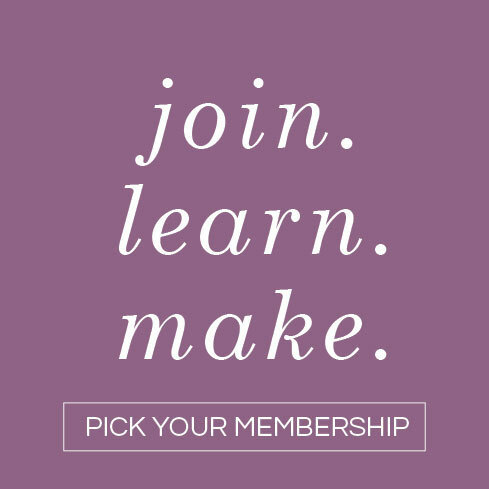 Hi Jodi– can you send a screenshot to hello@liagriffith.com? The words are designed to overlap slightly, but shouldn’t be cut off. Can I print and cut these with my Cricut? If so, How do I do about doing this? Hi Nancy! Unfortunately this is not a Cricut print-then-cut project. HI! What is the actual size of the individual label please? Follow the link to World Labels. They are hosting these. Thank you so much for the labels. I printed out the spice labels and absolutely love them. 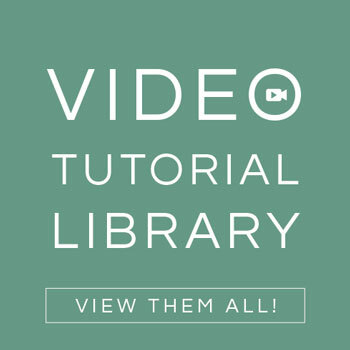 I having some difficulty opening up the link to the labels above (not sure if anyone else is having the same problem). oh no, we are not having an issue on our end. Can you try using a different browser? Anyway yo change the black chalkboard color? My college age daughter wants all her pantry labels in a peachy color. I found out that if I print your labels out in landscape mode I can use them for on my square spice tins. Thank you for sharing this tip! I have your farmhouse fonts downloaded but when I go to edit your labels it comes up with a different font. How do I change the fonts? Hmm… if you download and install the fonts immediately prior to opening the file it should work. Adobe always defaults to the latest font unless you have the one we used installed. Adobe doesn’t give an option to change the font. Try restarting your Acrobat. That often works. Do I buy the white or clear labels to make these farmhouse labels? The white ones. Very few printers have white ink so you need to print anything with white in it on a white label. Redoing my pantry with these labels as well as the spice labels, love them! I’m in need of the pantry labels but with more editing space to write a recipe. Any way to accommodate this? You would have to design you own label:-) There isn’t enough space in the one I designed unless it is a very short recipe. 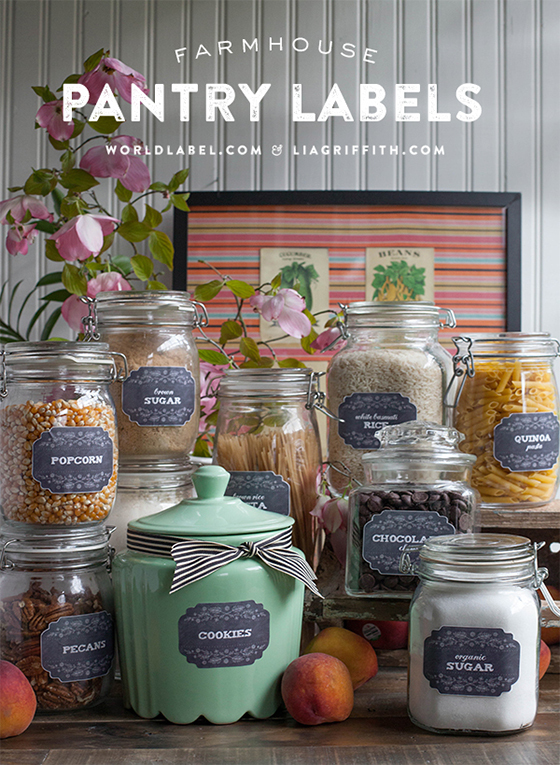 Thank you for the pantry label download! They are absolutely beautiful! I can’t wait to organize my pantry with them! Thank-you Lisa! These are so beautiful. I’m in the process of re-organising kitchen supplies in my real-life farmhouse! Owning a farm house is my dream!!!! 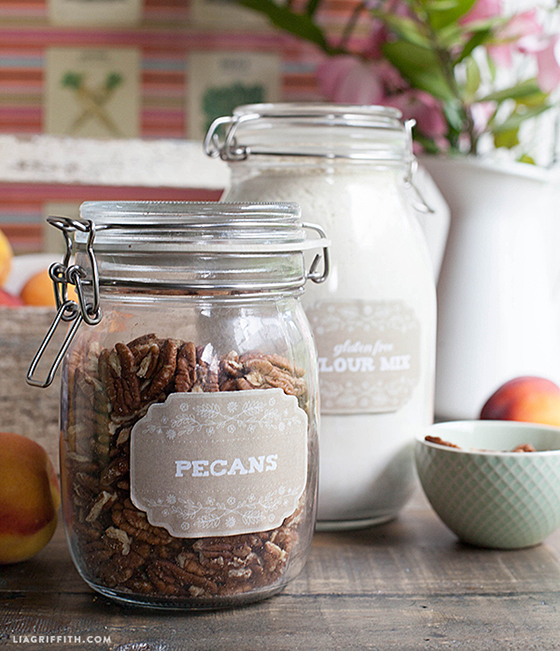 This morning I went in search of labels for my new pantry jars when I came upon your blog. Thank you SO VERY much for your amazingly wonderful designs and for sharing them. I am busy cutting out labels as we speak. I was so excited I put them on Instagram and tagged you, hope that’s ok.
That is fabolous and yes please tag me on Instagram. I LOVE to see what my readers create. My company motto is to inspire, teach and reignite creativity. Let me fix that question! Ha! Where did you get that adorable green cookie jar? WHERE DIDMYOU GET THE ADORABLE GREEN COOKIE JAR? 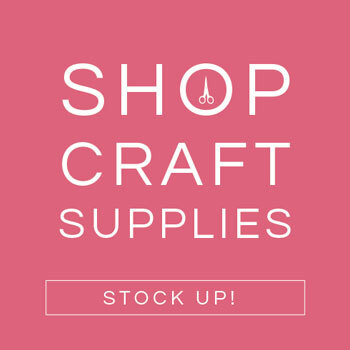 I would like to make my own labels using this design for other items that I use that aren’t listed. I would like to know what size label did you use to make the labels. I love the ideas. These are editable. Just read the post and it will tell you how to customize. Yes I have tried everything 🙁 I’m usely good with figuring things out like this but I can’t get it to work! Thank you very much for replying to my comment! I love love love your page! 🙁 A different browser maybe. Hi Rachel, Have you tried saving the pdf on your desktop, close your Internet browser and then open it up through Adobe Reader to edit it? That should work. when i open the file it says I can NOT save the new text i entered. I wanted to save it and take it to a print shop to print since i only have a small printer. Is there a way that i can save my edits? Hi Rachel, you should be able to save your edited file if you work with it in Adobe not through your internet browser. I get this question a lot:) Save the file from my site as a pdf. Then open it from Adobe Acrobat or Adobe Reader and edit it through there. Enjoy! Love love love these!!! Thank you! This is inspiration to finish redoing my pantry! For some reason when I try to go to the link for the fonts it just takes me to a blank page…am I doing something wrong? 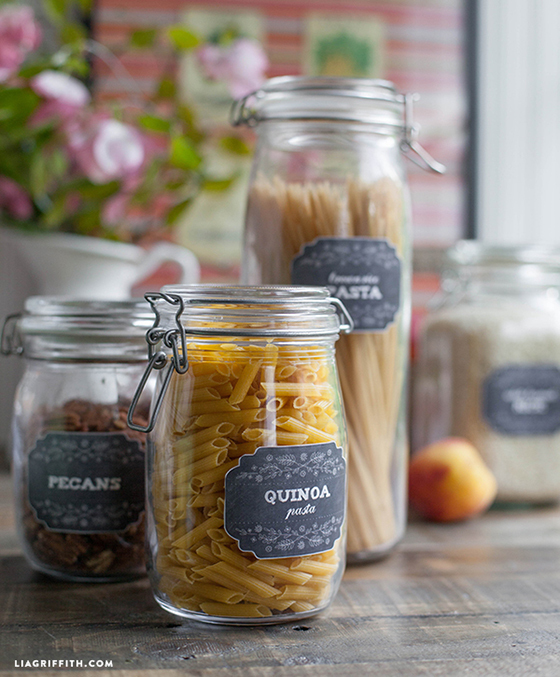 Just found your site – Will be moving into my new home in a week and need these labels for my pantry jars. How can I purchase them? Thank you for ALL your neat creations Lisa! You got a fan in Germany! 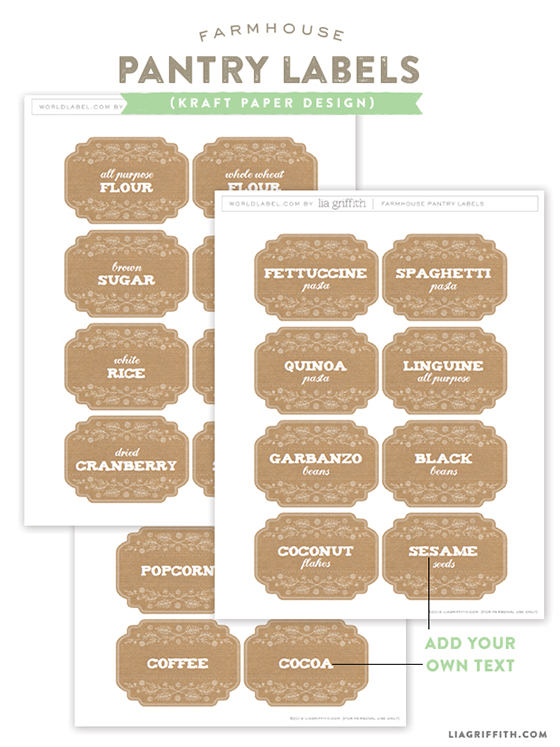 I printed these out and my pantry has never looked so beautiful and organized. I love all of your labels, you are so talented and I love your blog! I would love smaller labels for some of my little canning jars (not herb jars). I put all of my pantry items in various size canning jars and these labels don’t fit my small ones. Hum. Did you see if the herb and spice labels are too small. One idea is to print them larger. I am guessing we will be doing a matching set of canning labels too that will fit the middle size. Stay tuned. That’s a great idea, thank you! I’ll try to enlarge the herb and spice labels. I just printed that new set out and plan to redo my spice cabinet now that my pantry is so beautiful. I have the farmhouse labels printed and I found out that is windows 8 if you click on the far bottom right of the screen all those symbols come up and if you click on devices and click on print, it will print in landscape mode and the labels will be smaller for your herb jars. I have square tins that I keep my spices in and they will fit on the tops of them. Love the labels! Please post a smaller version for spices?? Lia thank you again for these wonderful labels that will end up in my kitchen ! Thanks for this! 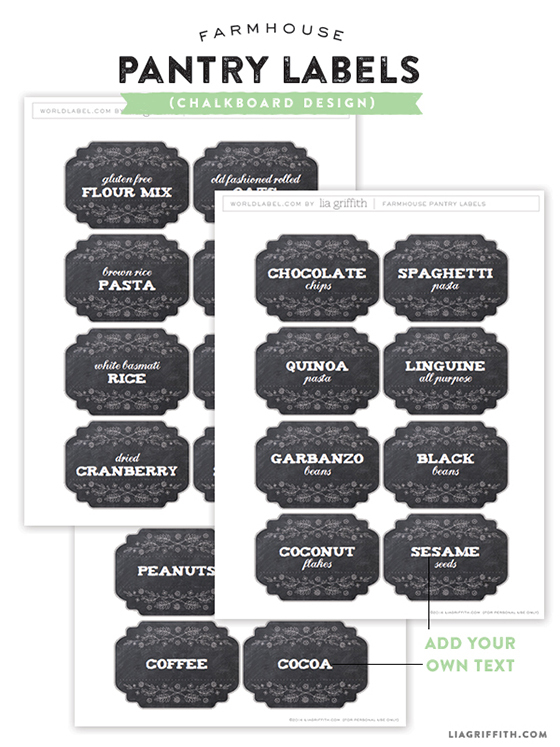 For the chalkboard labels, do I need dark paper to print these out, or does it use ink? I have an inkjet printer. These are awesome! Thanks so much for sharing. Thanks so much, love your labels!!!! How did you know I just stumbled into the Container Store and bought a bunch of Fido jars?!? 😉 Thank you…absolutely love these. 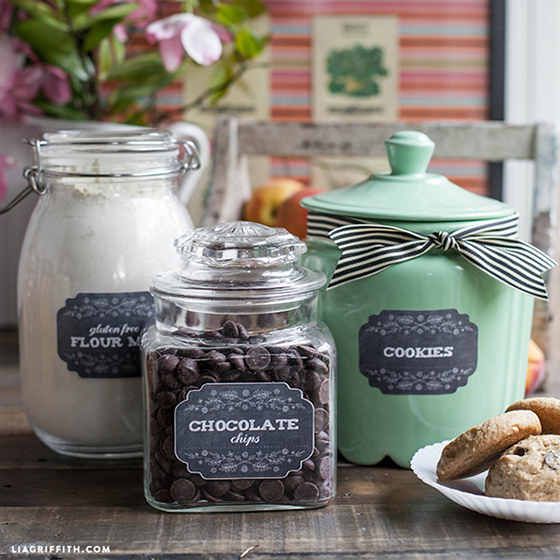 I just finished decorating my kitchen but I think I may have to add these cute labels! They’re adorable! These labels are perfect! And so is that cookie jar – where is from? thanks for the freebie! I love saving empty jars and upcycling them for crafts or storage. these labels are perfect for me! These can be used for anything even beyond food! I am going to use them to organize my studio space too.